Le programme permet la rapide récupération de photo depuis différents périphériques de stockage. 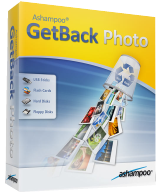 L'offre gratuite du jour pour Ashampoo Get Back Photo 1.0.1 était valable le 11 mai 2018! Récupérez des photos numériques perdues Avec Ashampoo GetBack Photo. Le programme permet la rapide récupération de photo depuis différents périphériques de stockage en quelques étapes. 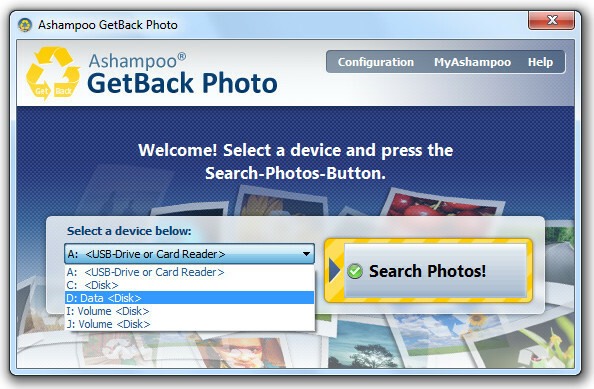 Ashampoo GetBack photo récupère non seulement les photos qui ont été supprimés "normalement", mais aussi des images à partir de périphériques de stockage qui ont déjà été formatés. Affichage de photos récupérables sous forme de vignettes. Seems to be an old 2012 version (see the screenshots). 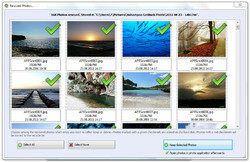 Latest one is called Ashampoo Photo recovery. 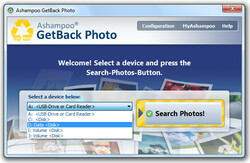 Ashampoo -inform us what is the big technical difference between Get Back Photo 1.0.1 and other recovery software? Is there a way for the scan to return *only* deleted photos? I don't want to be bombarded with 1,000 results of images I already have and have to sift through for the ones I've lost. I have many Ashampoo products. I first found out about them from this website. I've purchased between 6-12 of them. Sales are common. People complain about them spamming. Usually, this can be turned off on their website and by turning it off through their service channel within the software. I bought Photo Commander 14. The above suggestion works on it and all of the other programs of theirs I use. However, on the recent Photo Commander 15 giveaway, the program WOULD NOT allow me to turn off the spam via the service channel. Every single time I opened the program, it would go out via the Internet and then present an ad for Ashampoo software. This was extremely annoying when trying to view many photos in quick succession. It was so irritating that I downgraded to Photo Commander 14. I'm saying this here because I think people should know that their software may have ramped up the spamming to a whole new level. I have many Ashampoo products. I first found out about them from this website. I've purchased between 6-12 of them. Sales are common. People complain about them spamming. Usually, this can be turned off on their website and by turning it off through their service channel within the software. I bought Photo Commander 14. The above suggestion works on it and all of the other programs of theirs I use. However, on the recent Photo Commander 15 giveaway, the program WOULD NOT allow me to turn off the spam via the service channel. Every single time I opened the program, it would go out via the Internet and then present an ad for Ashampoo software. This was extremely annoying when trying to view many photos in quick succession. It was so irritating that I downgraded to Photo Commander 14. I'm saying this here because I think people should know that their software may have ramped up the spamming to a whole new level. Received key instantly since I have many Ashampoo products already. Key was the same as last time. Tried on a 32 GB mini SD card that says "card must be formatted in order to use". Program found card, Found over 1900 pictures. 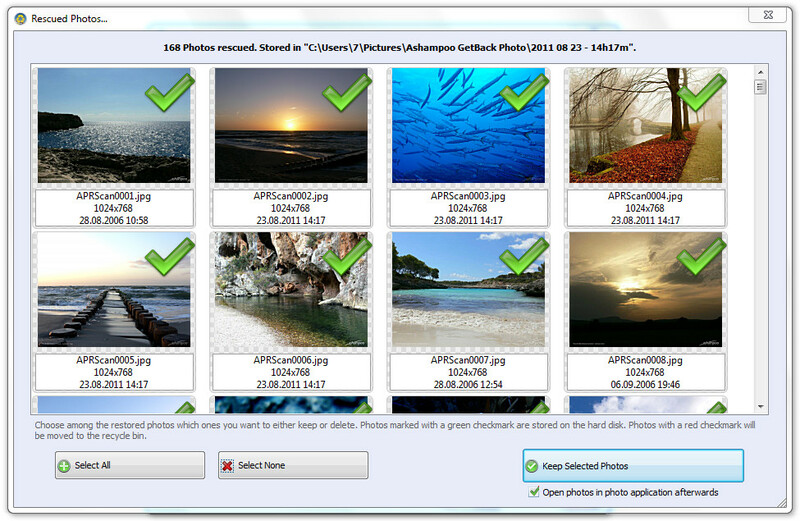 94 of the pictures I had not yet transferred from the camera. Does not give estimate of how long it will take to read card. Worked great, thanks! Maybe you down voters would like to explain why the program did not work for you? I tried using my camera yesterday,, and it kept telling me to reinsert SD card. I did several times to no avail. I then tried reading it in my computer, where the format message came up. I tried another card adapter with the same results. Was going to work on it this weekend to see if a recovery program could find the pictures. This came up today, so I gave it a shot and it worked.